Learn all about the complete provider of professional solutions in connection technology and benefit from the synergies within the Telegärtner Group. This subsidiary of the Telegärtner Group specializes in plastic solutions for the pharmaceutical, automotive, electrical and communications industries. It posses cleanroom areas and an in-house tool design and construction. This arm of the Telegärtner Group concentrates on the design, construction and dimensioning of technical assemblies and engineering systems.Its portfolio includes the development and production of fiber optic products and the manufacture of precision machined parts. Telegärtner Elektronik GmbH is an efficient and innovative supplier of active and passive assemblies, specialising in communications technology and industrial electronics. The Japanese subsidiary was set up to meet the pioneering demands of the Japanese market. 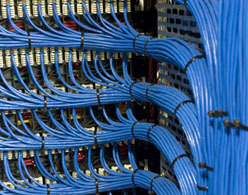 Telegärtner Japan Ltd. is regarded as a forerunner within the Telegärtner Group in bringing optical fiber cabling to last-mile locations (FTTx). TG Japan Ltd. runs another sales office in Taiwan. 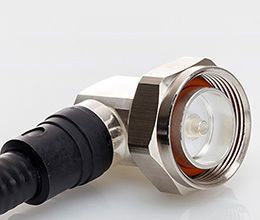 The Telegärtner UK Ltd. is distributor and also specialises in the assembly of coaxial connectors. Drahtex AG, based in Wallisellen near Zurich, has been part of the Telegärtner Group since 2011. Telegärtner Slovakia is a production facility of the Telegärtner Group and specialises in the assembly of RF cables. 6F, No. 317, Sec. 2, Wenhua Rd., Banqiao Dist. New Taipei City, 22046 Taiwan, R.O.C.